This book will appeal to young sports fans who are interested in knowing more about the main Summer Olympics sports: track and field, gymnastics and swimming. In short, clear chapters, readers learn about the early competitors in the sports, and then the major winners throughout the past 116 years. There is a clear emphasis on American competitors, but clear coverage of historic winners from around the world. I particularly enjoyed reading the chapter on men's swimming this weekend as I watched the US men's team race to match its incredible victories from the 2008 Beijing Olympics. It was very interesting to read about Mark Spitz's "mental toughness"as he competed in the 1968 and 1972 games. Young readers will be fascinated reading first about how Spitz broke the Olympic record for winning the most gold medals at a single Games, and then how Michael Phelps broke this record in 2008. This book is best suited for kids who are interested in the particular sports. There are a few photographs included, but the do not draw readers into the book. I continually found myself wanting to look up different athletes to see if I could find video clips on the Internet of their historic wins. The biggest drawback is that there are no references included and no suggestions for further reading. I also found myself wishing there were more tables with the different results summarized, so I could compare the different times or wins discussed in the text. These sorts of features of nonfiction text are very important to include for young readers. If you are looking for other books on the Olympics, check out the Kirkus Reviews blog recommending 5 Kid's Books to Celebrate the Olympics. Also check out Bay Views Preschool Storytime Ideas for the Olympics or Sports Day. Poetry has a way of touching the soul, capturing the heart of what we want to say, and connecting us to one another. Each year, our students at Emerson celebrate their year-long study of poetry by sharing their own poems at our Poetry Slam. And each year, I am truly moved by what they share about themselves. 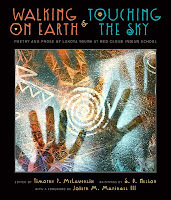 I cannot wait to share with them Walking on Earth and Touching the Sky, a new collection of poetry and prose by Lakota youth at Red Cloud Indian School. This beautiful collection will touch readers with their honest look into the feelings of these young writers. 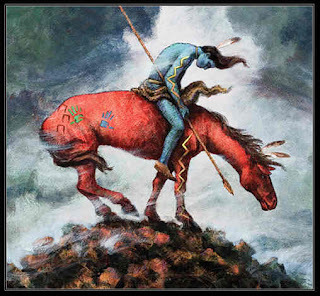 Timothy McLaughlin has brought together a collection of poetry and prose written by Lakota students in the fifth, sixth, seventh, and eighth grades at Red Cloud Indian School on the Pine Ridge Indian Reservation in South Dakota. Interspersed throughout are vibrant paintings by S.D. Nelson - I found the interplay between the art and the poetry particularly effective. As McLaughlin writes in his introduction, the students' stories "spring from their multilayered identities." 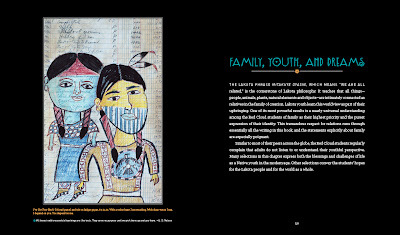 They are young Lakota people, whose lives are grounded in the traditions and values of their Native community. But they are also young people growing up in the 21st century, surfing the Internet, listening to music, watching TV. Their writing reflects this rich, modern, multifaceted identity. I am a rose in a patch of weeds. I am a storybook mixed in with some dictionaries. I am a chokecherry bush surrounded by oak trees. I am a window that is broken. I am a boy with lots of sisters. I am an Indian surrounded by white people. These students don't shy away from talking about hard issues they confront - whether it's poverty, racism or drugs. The poems speak from their experiences growing up in one of our country's poorest counties. But they also speak about their hope, their beliefs and their communities. I've Got Your Back. Colored pencil and ink on ledger paper, 8/14 in. With a sober heart I am standing. With a clear vision I see. I depend on you. You depend on me. Share this collection with students, with teachers, with friends. Read it aloud, but also have it ready for quiet browsing. I'm sure students will be drawn to it time and again. Timothy McLaughlin is a poet and teacher who has worked in Native communities since 1997. He worked at the Red Cloud Indian School on the Pine Ridge Reservation in South Dakota in the late 1990s. After that, he worked at Arlee High School on the Flathead Reservation in Montana. He founded the Spoken Word Program at the Santa Fe Indian School in 2003. His students have received many awards and national recognition for their inspiring work. Read more about the Spoken Word Program. If you want to learn more about this collection, head over to Poetry for Children for a fascinating interview with Timothy McLaughlin. The review copy was kindly sent by the publishers Abrams Books. If you make a purchase using the Amazon links on this site, a small portion goes to Great Kid Books (at no cost to you!). Thank you for your support. Occasionally, I will watch children read and reread a story, absolutely carried away on the story's journey. They will want to revisit that special story world again and again. 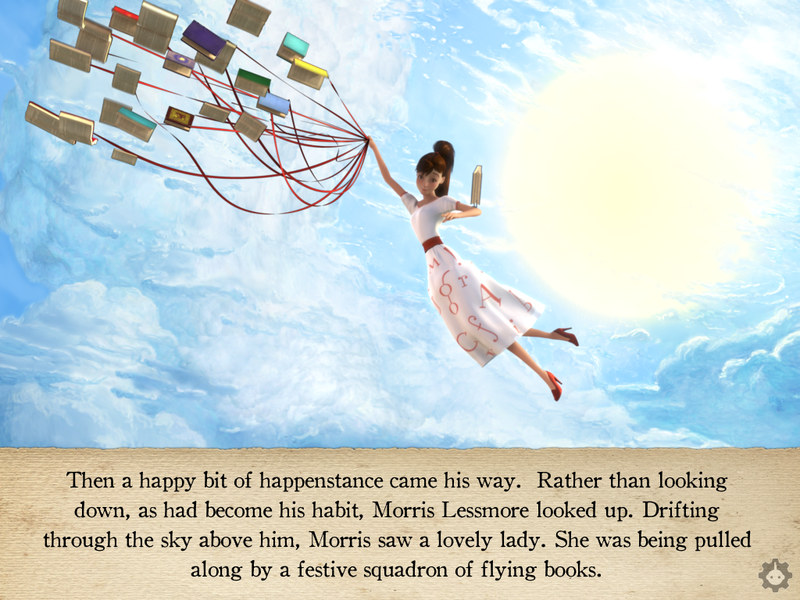 The Fantastic Flying Books of Mr. Morris Lessmore amazes children and adults when they first read it. Some are amazed at the way the book app integrates animation and interactive features, but many readers are simply captivated by the story. Now, this wonderful book is available as a picture book to share with children. Morris Lessmore is a man who loves words and stories, so much so that he surrounds himself with books. One day, he is swept away to a distant land when a terrible storm strikes. Adults may see reference to The Wizard of Oz or Hurricane Katrina, but children just follow Morris into a magical land of stories. The young woman sends him a story that leads him to a stately old home where books from years gone by apparently ‘nested.’ Morris explores this wonderful place, discovering his true home among the books and stories, each “whispering an invitation to adventure. The Fantastic Flying Books of Mr. Morris Lessmore is currently number one on the New York Times Bestselling Children's Picture Books list - hooray! I'm so very glad it's reaching a wide audience. 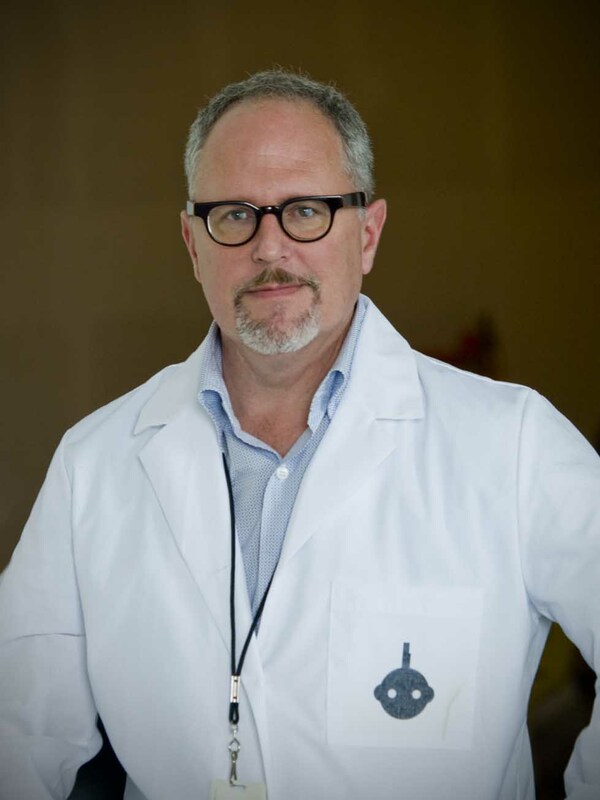 I was honored last month to listen to William Joyce talk about his inspiration for this story. Listen to the speech he gave to gathered librarians and admirers at the Simon and Schuster party at the American Library Association, in June 2012. First, you'll hear Justin Chanda, his editor and the publisher of Books for Young Readers at Simon & Schuster, introduce Bill. And then listen to Bill describe the story behind Mr. Morris Lessmore. 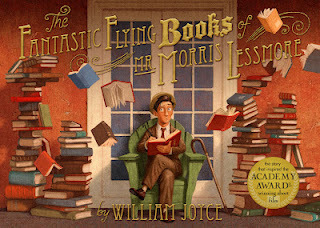 Bill Joyce tells us that he originally wrote the story for The Fantastic Flying Books of Mr. Morris Lessmore in 1999, when he was visiting his friend and mentor, William Morris. And yet ten years later, after many hard years and too many losses, when he was getting Moonbot Studios off the ground, he came back to this story. Morris stands for everything he wanted Moonbot Studios to be about: the way stories can inspire us, feed our imagination and lift our souls. If you'd like, you can also listen to my interview with Bill. I was so honored to be able to sit down with him and talk about the way new technologies like the iPad can be used to share stories with children. Thank you to Bill Joyce, for sharing these stories with us and for taking the time to talk with me. Thank you to Simon and Schuster for arranging the interview. This interview was first shared on Katie Davis's fantastic podcast, Brain Burps About Books. The review copy was kindly sent by the publisher, Simon & Schuster. If you make a purchase using the Amazon links on this site, a small portion goes to Great Kid Books (at no cost to you!). Thank you for your support. Do you remember those lazy summer days wandering through the garden, maybe stomping through your local creek? Some of my favorite moments growing up were making a tunnel through the tall weeds in our orchard. It was magical, hiding away from the world around me. 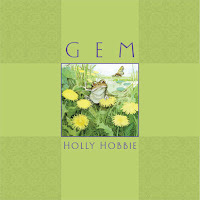 We've been enchanted by Holly Hobbie's newest book, Gem. It's a perfectly lovely summer book to share with your dreamers, your explorers, your nature lovers. Beginning with a letter to her young granddaughter Hope, Holly Hobbie remembers the summer that Hope discovered a “small wonder in the garden” — the young toad she named Gem. And so begins a nearly wordless picture book that follows Gem’s spring journey. This little toad escapes several perilous encounters — nearly being run over by a speeding car, snatched by a hungry hawk — before Hope discovers it in the garden. Hobbie finishes the book with another letter, this time from Hope to her grandma. Hope went through her own journey that spring, as she realized that “toads are not pets.” Hobbie’s watercolor illustrations capture the essence of the spring garden, depicting the toad realistically while still giving him his own quirky personality. Children will love following this wordless journey, rooting for Gem and connecting with Hope. It's the perfect picture book for young preschoolers finding their first "pets" in the garden, or older children remembering back to those discoveries. Holly Hobbie is a prolific author and artist, creator of the Toot and Puddle series, the Fanny books, and many others. She combines beautiful watercolors with a real sense of children's wonder and laughter. If you love books about exploring nature, head over to this month's Parents Press, where my monthly Bookshelf column focuses on nature books. The review copy was kindly sent by the publishers Little, Brown and Company. If you make a purchase using the Amazon links on this site, a small portion goes to Great Kid Books (at no cost to you!). Thank you for your support. Today, I have the honor of sharing an interview with William Joyce, the amazing creator of The Fantastic Flying Books of Mr. Morris Lessmore. Joyce is an author, illustrator and animator of many books and films, most recently winning an Academy Award for the short film of Morris Lessmore. The app, based on the same story, has been one of my favorites for the way it blends a touching story with incredible combination of animation, interaction and narration. 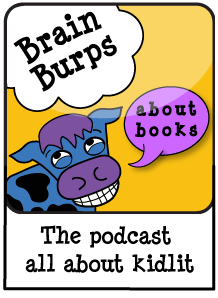 Come listen to this interview on Katie Davis’s podcast, Brain Burps About Books. You can listen for free on iTunes or on Katie’s site. It was an amazing experience getting to sit down with Bill Joyce - I've admired his work for so long. 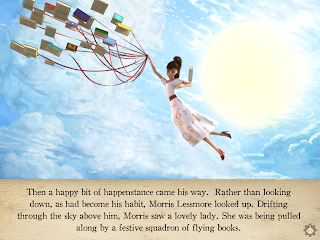 The Fantastic Flying Books of Mr. Morris Lessmore truly opened my eyes to what a book app can do (see my review of the app over at SLJ's Touch and Go). Above all else, the story resonates with children – it’s a story about the power of books and stories to sustain us, to fill our lives and imaginations. But it’s also an incredible combination of narrated text (beautifully written and read), animation that leaps off the screen, and interactive features that surprise readers as they are pulled into elements of the story. If you’re fascinated by books, stories and how the new medium of the iPad will affect the way we share stories with our children, please take some time to listen to this interview. Bill Joyce is a visionary, in my mind. He sees that stories are really what we fill our lives, but that technology can be used in so many different ways to bring these stories to life. As Bill said in this interview, halfway through the production of the short film for Morris Lessmore, the iPad was released. He and his coproducer realized that this is going to change everything. They wanted to see how this technology can be used to tell a story, to pull you into an immersive story world. The iPad can complement books, helping publishing, not hurting it. Each way of reading The Fantastic Flying Books of Mr. Morris Lessmore is a different experience. The short film is completely silent, pulling the audience in but demanding that they fill in the story’s narrative plot themselves. The app uses much of the animation from the film, but adds the narration as well as letting the reader control the pacing of the story. 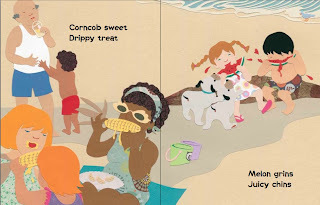 The picture book – just released last month – lets the reader savor moments even more so. In a way, the picture book contains frozen “spots in time” that can come alive in your imagination. Moonbot Imag•N•O•Tron Demonstration Video from Moonbot Studios on Vimeo. Thank you to Bill Joyce for making the time to visit, to Simon and Schuster for arranging this opportunity, and to Katie Davis for sharing the podcast. I feel like one very lucky book-loving kid. Red, White and Boom! by Lee Wardlaw (ages 3-8): celebrating Independence Day! Are you still basking in the glow of Fourth of July? My children love our local Independence Day traditions - a neighborhood parade, patriotic songs and a ringing of the liberty bell. Every year, we wonder if we'll stay up late to watch the fireworks. 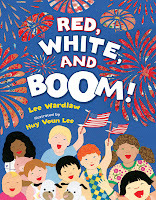 If you're looking for a book that celebrates this holiday, find a copy of Lee Wardlaw's newest book, Red White and Boom! It will bring back your children's memories of this holiday and show them how other families celebrate, too. Wardlaw and Lee capture the joy, excitement and pure fun of Fourth of July celebrations across the country in this bold, eye-catching picture book. Wardlaw, the author of the award-winning Won Ton Cat, writes short, focused rhyming pairs that bring readers right into the celebration with their many sensory details. Burst and zoom/Red, white, boom!" Lee's papercut artwork brings readers right into the celebrations. Families watch a parade marching through their city, with children leading off the parade carrying a large balloon of an American eagle. 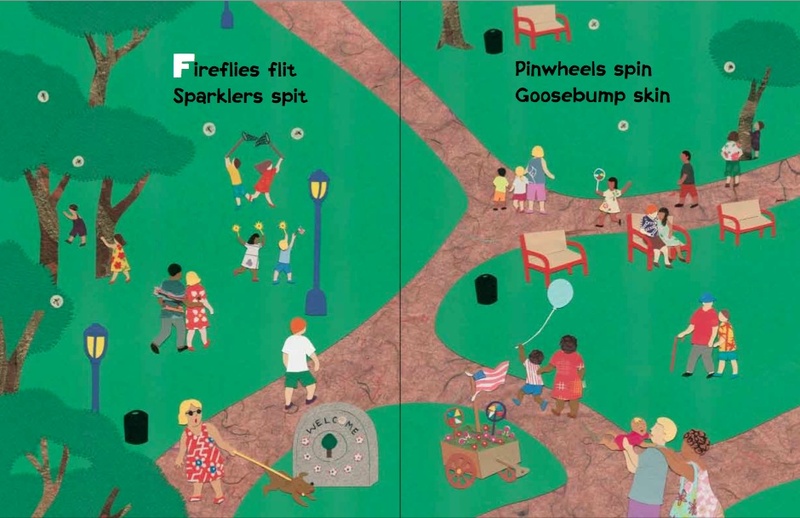 Throughout, children and families of many colors and ethnic backgrounds celebrate together. But the fun doesn't stop there. 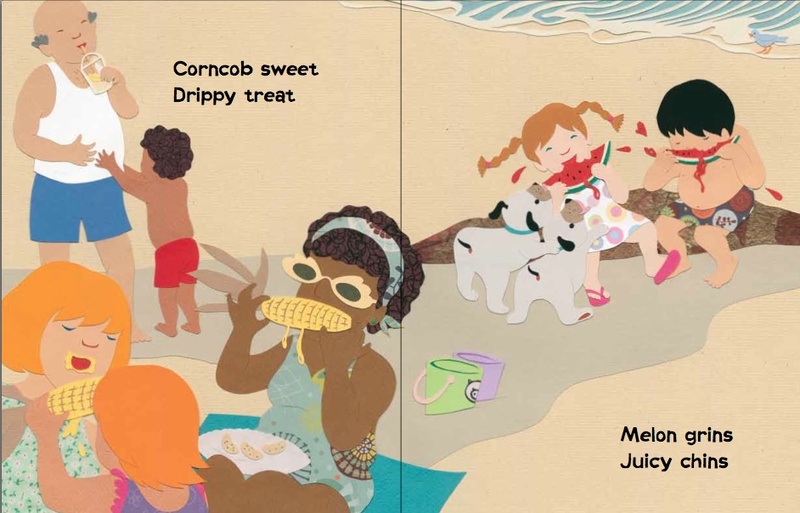 Some families love going to the beach every summer for their Fourth of July celebrations. Families and friends have fun together, enjoying a picnic, throwing frisbees and playing in the water. Finally, a crowd gathers in a local park that evening to enjoy the fireworks. 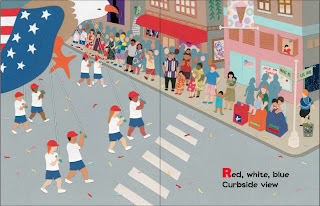 Throughout this book, you get a child's sense of the fun and excitement of the celebrations. Lee's colorful papercut illustrations emphasize the sense of communities coming together to celebrate. She varies the perspectives, drawing up close so you can see the watermelon dripping and zooming out to watch the crowds gather in the park. 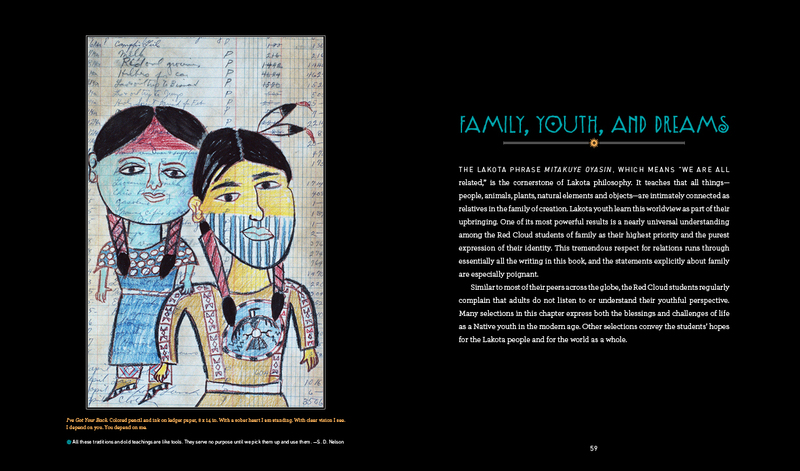 Enjoy this book with your children, as you talk about your own family traditions. Teachers will love this, too, as a writing prompt to writing short poems about summer traditions. Thank you to Lee Wardlaw for sharing about this book. All images copyright ©2012, Huy Voun Lee. The review copy was purchased at Vroman's Bookstore, an amazing bookstore in Pasadena, CA. If you make a purchase using the Amazon links on this site, a small portion goes to Great Kid Books (at no cost to you!). Thank you for your support. Reorganizing our children's collections: I Want a Truck Book! Once in a while, a conference session will light a spark that stays with you beyond the time spent listening to the speakers. The session I Want a Truck Book! at last week's ALA conference has stayed with me, as I think about this fascinating presentation time and time again. Gretchen Caserotti, Deborah Cooper and Tali Balas Kaplan shared their experiences reorganizing their children’s collections to meet the needs of young patrons. Each approached the challenge of reorganizing their collections to help children find books intuitively and easily. They shared their experiences working with public and school libraries. I'm fascinated by the way these librarians are thinking outside the box, considering how children and parents want to browse for books. As Gretchen said, in the library there are browsers and seekers. The seekers will find what they need with a specific call number from the library's catalog. But how do browsers find books they're interested in? Really, it's by finding books that are like other books they've read. Gretchen used the opportunity of the reopening of the Darien Library in 2008 to completely reorganize the picture books for young children - grouping together picture books by topic rather than just alphabetically by author. 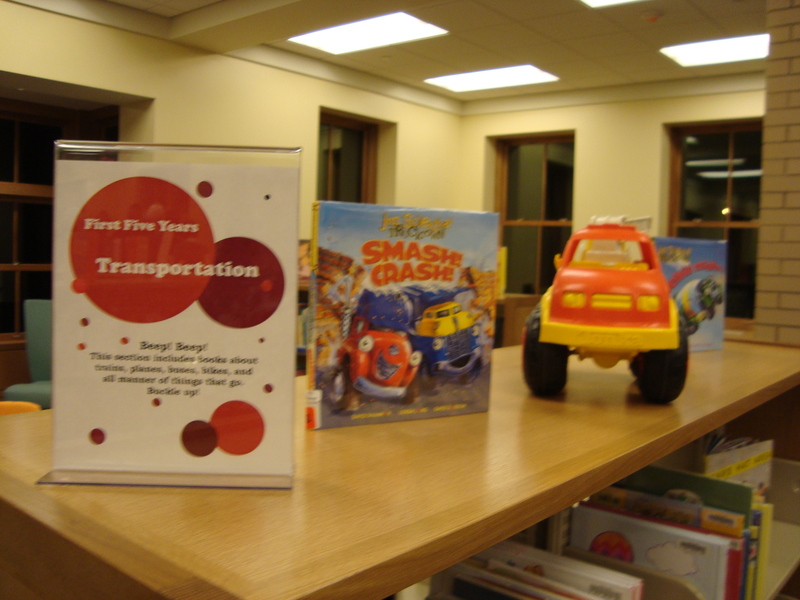 So here you can see that the Darien Library groups all of their transportation picture books together. This section has Smash! Crash!, Revenge of the DinoTrux, and Goodnight, Goodnight Construction Site. They have included fiction and nonfiction picture books for their youngest children (ages 0 - 5) in their glades. So you'll also find Gail Gibbon's Truck book in the same transportation section. But public libraries aren't the only ones looking at this change. Tali Balas Kaplan shared her experience reorganizing the school library at The Ethical Culture Fieldston School in New York, NY. They have integrated fiction and nonfiction in their collection, organizing the entered collection around 26 large topics. So Loren Long's book Otis is in their Cars section, along with Kate & Jim McMullen's I Stink and Seymour Simon's Book of Trucks. Today I'm writing a guest post over at the ALSC Blog. Head over there to find out more about these projects! I'm fascinated to hear what parents and librarians think of this approach. Summer days invite all of us to spend more time outside, whether it's those precious early morning hours as the world is waking before the heat sets in, or lazy days exploring creatures hiding at the pond's edge. 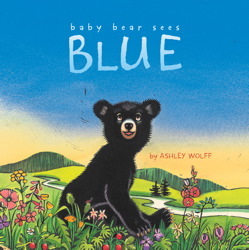 A lovely book to share with young children this summer is Baby Bear Sees Blue, by Ashley Wolff. Baby bear starts exploring his world, asking his mother to name everything he sees - just the way our children do. Ashley Wolff captures a young child’s unending curiosity of the world, weaving in an exploration of colors, all with perfect pacing for young children. I adore her illustrations, inspired by the mother bear and cub in Blueberries for Sal. Wolff carves the images on linoleum blocks, prints the black images, and then hand colors the watercolors. As Jules wrote at Seven Impossible Things Before Breakfast, "These spreads burst forth with highly-saturated color and lots of energy and life." Head over there to see some incredible work-in-progress images from this book. This is a perfect story to share with young children as they explore the world around them. Explore more books to share with your child at my monthly Bookshelf column over at Parents Press. This month I'm focusing on exploring the outdoors. The review copy was sent by the publisher, Simon & Schuster. If you make a purchase using the Amazon links on this site, a small portion goes to Great Kid Books (at no cost to you!). Thank you for your support.